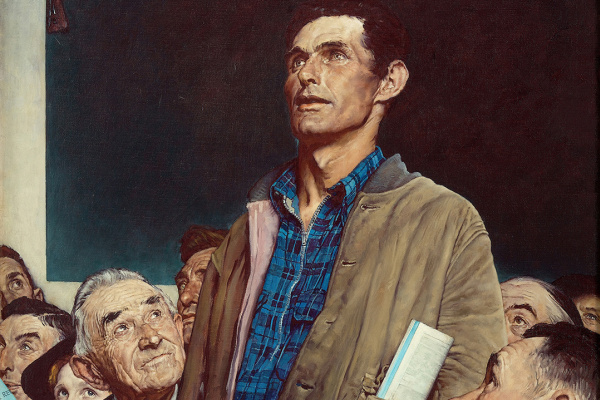 In the 1940s, Franklin Roosevelt developed a concept called “Four freedoms - freedom of speech, freedom of religion, freedom from want and freedom from fear” to convince Americans to support military efforts. Not immediately perceived by the American public, the administration turned to art to help Americans understand and support these sustainable ideals. 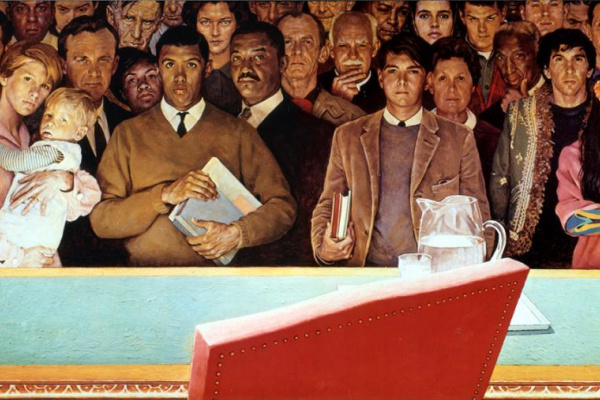 Artists, writers, actors, designers and musicians were invited to take on the task of promoting the Four Freedoms, as the United States was preparing to enter World War II, moving away from its policy of neutrality. 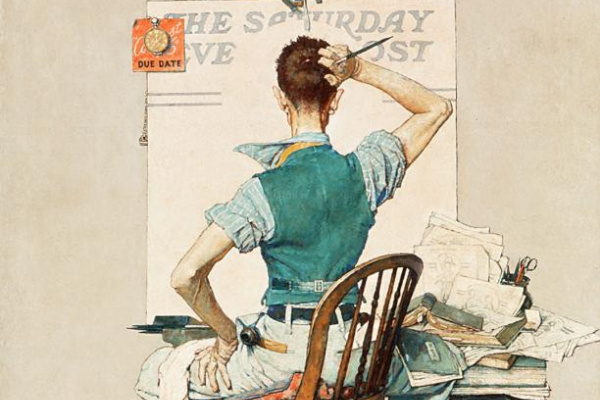 Norman Rockwell, a famous illustrator, was one of those who took upon himself the task of clearly conveying ideas of freedom in support of military efforts. 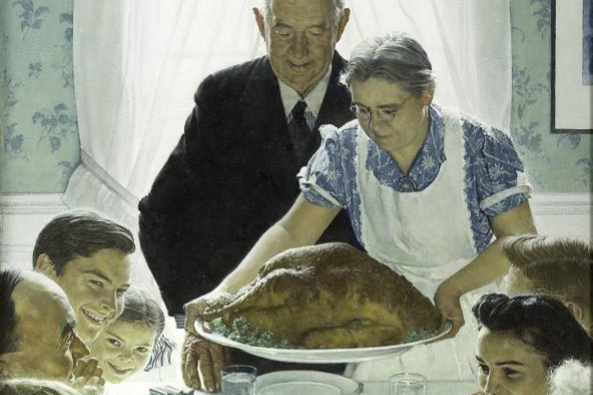 The result was descriptions of the daily life of the community and family through universally recognized topics that helped Americans rally in defense of public freedom. 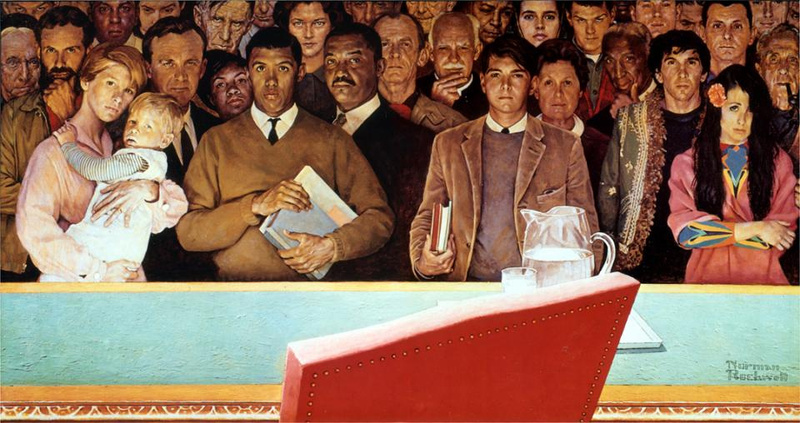 By focusing on the critical themes that Rockwell distinguishes among his contemporaries, Imaginary Freedom presents how the artist and his illustrators became important storytellers who promoted important civic ideas through their creative advertising and images. 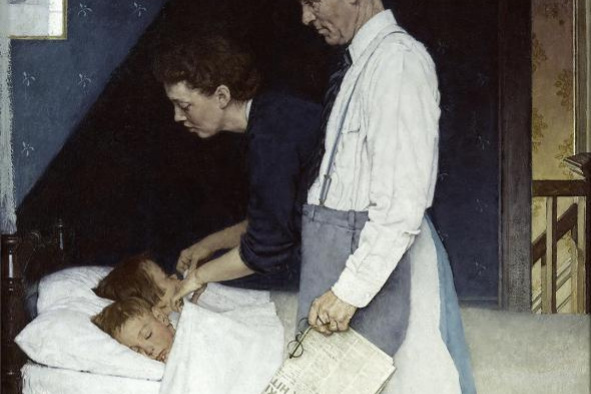 The exhibit narrative demonstrates Rockwell's works of war era, which reinforce a positive approach to uniting Americans for the common good.